In order to download the On Cue free app you will need an iTunes ID. For help creating your iTunes account read Apple’s support site http://support.apple.com/kb/HT2731 Once you have the iTunes account you can follow the steps below to download On Cue. 1. 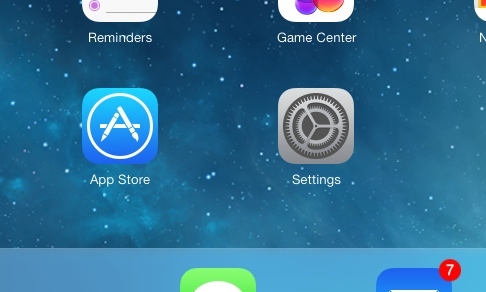 To install the free app, select the App Store icon on your home screen. 2. In the search box, type On Cue. 3. Next to the On Cue icon, select the button labeled Free. 4. Type your iTunes account password and the app will begin downloading. 5. Once your app is finished downloading, select the On Cue icon on your home screen to open On Cue. The first time you open the On Cue app you will be prompted to create an account with the name of your business, your name and email and the password of your choice. Once you create an account, you will be emailed an activation code. Enter this code into the app to associate this iPad to a specific location and enable text messaging. Save the activation code as you might need it to later reset your account or pass code. If instead you prefer to see the app first, choose “Skip, take me to the app” located at the bottom. When you are ready to start using the app you can create your account by going to the menu icon in the top left corner. Select Settings then Accounts where you can create an account or sign in with an existing activation code. When your account is active, you will see your text usage and begin using the app.